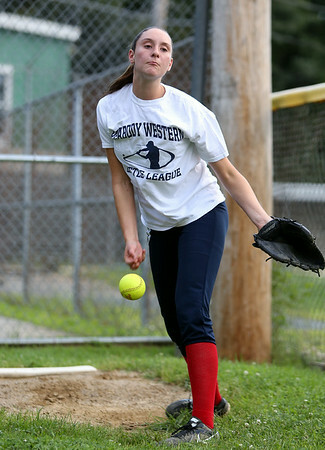 Peabody West pitcher Mikayla Porcaro. The Peabody West Softball All-Star team will look to make some noise in the upcoming Regional action in Orange, CT. DAVID LE/Staff photo. 7/28/14.